Mr. Louis B. Reese, age 71 of Fayetteville, passed away on Sunday, January 27, 2019. Louis was born in Pittsburg, Georgia on April 12, 1947. He is preceded in death by his parents, William Wilkes Reese and Ollie Bell Grindle Reese. He was retired from the City of Fayetteville as Director of the Water Department. After retirement, he enjoyed gardening, raising chickens, fishing, he loved to cook for others and sitting on his porch smoking his pipe. Louis had a saying that all will remember, “It Don’t Matter”. Survivors include his daughters and son in laws, Michelle and Robert Outlaw, Stacey and Barry Brooks, Lisa Reese; grandchildren, James and Tara Outlaw, Rachael Outlaw, Stephen Brooks, Lauren Brooks, Brittanie Reese, Ron Deavers, Savannah Deavers; sister, Juanita Harmon; several nieces and nephews. 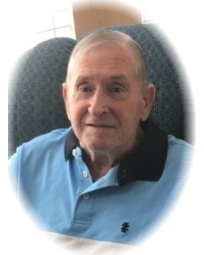 Visitation for Louis B. Reese will be Saturday, February 2, 2019 from 6:00 pm until 8:00 pm at Conner-Westbury Funeral Home. A funeral service will be conducted Monday, February 4, 2019 at 11:00 am in the Chapel of Conner-Westbury Funeral Home. Burial will follow at 3:00 pm at Georgia National Cemetery in Canton, Georgia.